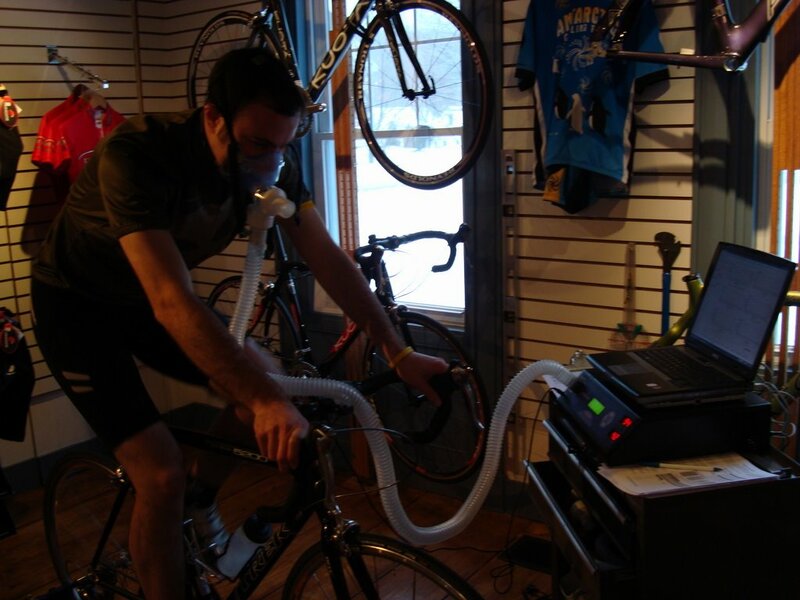 Last February, I ventured up to FitWerx in Vermont and underwent VO2 max testing with Joey Adams. When you only have a few days a week to train, you have no choice but to train as efficiently as you possibly can. And to train efficiently (and moreover, to race efficiently), you need to know your heart rate zones, which I never did before the test. I’ll be back again this Winter for another test, just to see how things have adjusted since the last trip up there. The test is about 12 minutes, and when you start, you feel like a monster. Inside of the last minute, you feel very, very different. I’ll just leave it there. If I were to guess, I probably train the least of anyone who has aspirations for being a competitive hillclimber; at least, in the winter months. I have very little tolerance for sitting on a trainer or a spin bike. 45 minutes is about all I have in me before my boredom starts to transform directly into hate. And I usually can devote 3 days a week (sometimes 4) to training, but by no means could I ever do it every day. I have to many other interests and things I’d just much rather do than sit in a hamster wheel. If it becomes mechanical and mandatory, all of the fun in this will disappear. These are bikes after all. Kids ride bikes. You can’t take them too seriously. So that’s where the efficiency comes in. I need to make the most of every single minute I can devote to getting better. Using that efficiency, I went from a 1:45 on Washington the year prior to a 1:35 this year. Now, who knows how low it will go. Eventually, my progress will level off as I reach my physiological potential. Who knows where that is though. 2006 was my first year riding, so hopefully there’s a (warning: impending horrible pun) long road ahead.